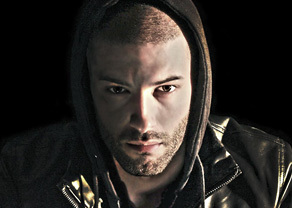 Darcy Oake is a world class illusionist. His highly acclaimed show has been seen around the world and honored with some of the industries top awards. Darcy show has been featured on the strip in Las Vegas Nevada, off Broadway in New York City, and at the world famous Magic Castle in Hollywood California. He has completed two national tours of Canada, performed on luxury cruise liners around the world, and appeared on multiple television networks. Darcy started performing at a very young age. Now, years later he is coined as one of the worldʼs elite magicians. At age 16 Darcy was deemed an international magic champion by the ʻPacific Coast Association Magiciansʼ. 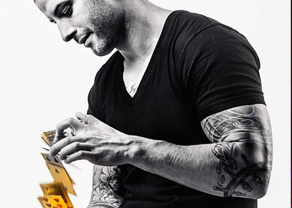 Invited to perform in Seattle Washington, Darcy took home the coveted ʻPeopleʼs Choice Gold Medal,ʼ besting a group of professional magicians. At age 18 Darcy has headlining the world famous Magic Castle in Hollywood California. Not even old enough to legally enter the building, Darcy was asked to headline the famous showroom located in the Hollywood hills. By age 20 he had completed a national tour of Canada. Darcy was a featured act alongside several world renowned performers in a nationwide tour. 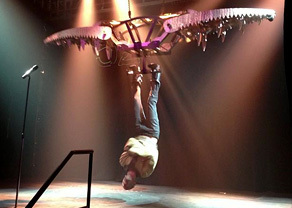 The show traveled from coast to coast performing over 80 shows in 6 weeks in 40 different cities. Skip ahead 4 years and Darcy would be featured in this tour a second time. Since then Darcy has been performing world wide, including making it all the way to the final on Britain's Got Talent 2014. His show has appeared off Broadway in the heart of Time Square, New York City, and on the strip in Las Vegas Nevada. Consistently performing high profile gigs Darcyʼs show remains in constant demand.